Citilink (the low-cost subsidiary of Garuda Indonesia) has been Certified with the 4-Star Low Cost Airline quality ranking by SKYTRAX, the international air transport rating organisation. This 4-Star Low Cost Airline rating is a mark of quality distinction that recognises strong standards of Product and Staff service across different assessment categories for both the Onboard and Airport environment. Citilink has developed and improved it’s standards of product and service quality over the 2 year period since their initial assessment. The 4-Star Low Cost Airline Certification was presented to Citilink during a ceremony held at Singapore Airshow on 8th February 2018. 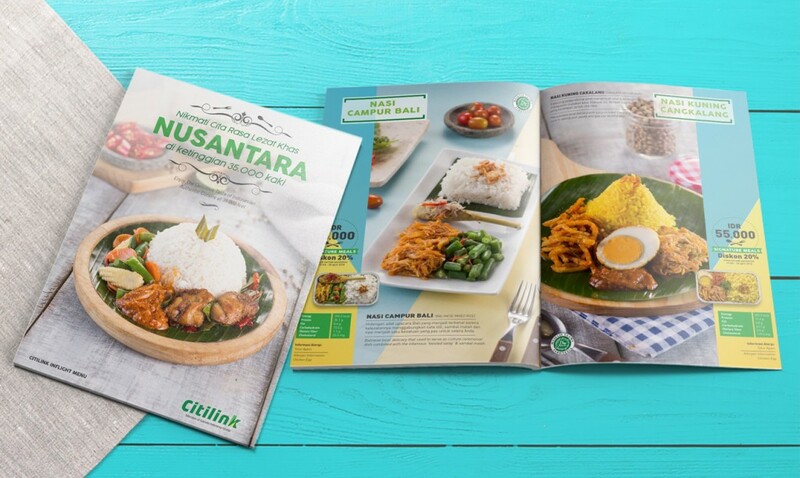 Citilink Indonesia President Director Juliandra Nurtjahjo said: “This shows that despite Citilink Indonesia is a budget airline yet with the best service quality in its class. This certification is a global recognition and became the basic capital in expanding its business to the regional,” said Juliandra shortly after receiving the four star Skytrax rating in the 2018 Singapore Airshow, Singapore. 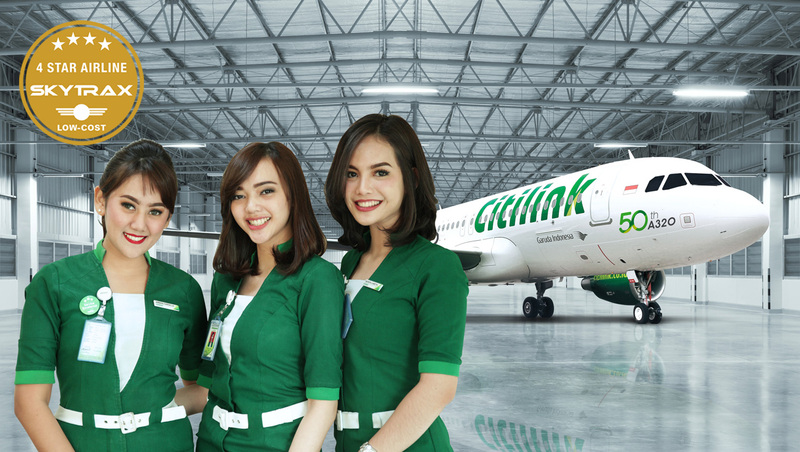 “Certainly, Citilink Indonesia to provide the best service in maintaining its newly achieved four star Skytrax certification,” Juliandra said. Citilink is a low-cost airline subsidiary of Indonesian national flag carrier, Garuda Indonesia. In 2017, Citilink Indonesia has added five new domestic routes namely Jayapura, Kendari, Gorontalo, Ambon and Silangit, and one international route to Dili, Timor Leste. Citilink Indonesia’s passengers-growth was recorded to have significant improvement over the last five years. 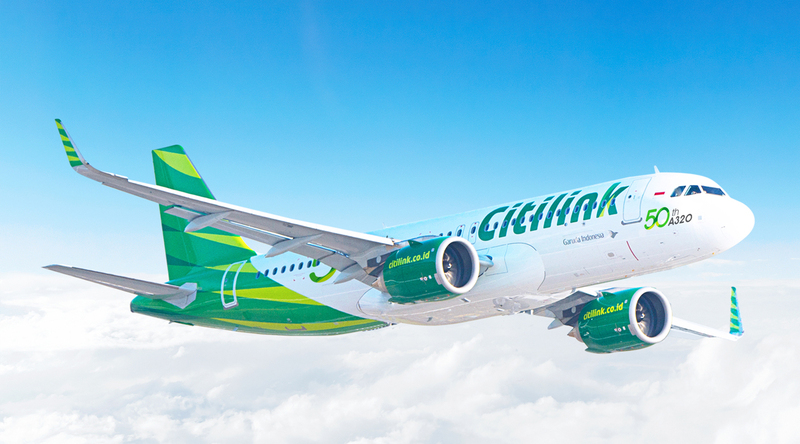 In 2012 Citilink Indonesia recorded up to 2.8 million passengers, then increased to 5.3 million in 2013. Again in 2014 the passenger number increases rapidly reached 8.2 million and in 2015 it reaches 9.5 million passengers, in 2016 the figure hit 11.8 million passengers, and in 2017 Citilink Indonesia has carried 12.6 million passengers.